Hunza Properties Bhd is planning an upmarket mall at its Gurney Paragon project that it hopes will usher in a new shopping experience for Penangites. Sales and marketing manager Eric Seow said the mall, set to be one of the largest in Penang, would be lifestyle-oriented and cater to high-end brands. Spread over seven storeys, the mall will offer about one million sq ft of retail space and more than 2,000 parking bays. “We hope this shopping mall will introduce a whole new shopping experience to Penangites. “In the past, a lot of brands would only go to Singapore or Kuala Lumpur. However, more regional brands are penetrating Penang and we are working towards that direction (in meeting shoppers' need for luxury brands),” he told StarBiz. While population growth in Penang might be low, Seow said there was a growing new generation with the ability to spend. “Now we see younger shoppers (in Penang) who are able to buy luxury items. This is good for brands targeting this group and Penang is a place for them to penetrate,” he added. To realise its vision, Hunza has appointed the Philippines-based Cardiz International to undertake retail architecture of the mall. Seow said Cardiz's experience in designing malls would ensure that Gurney Paragon mall stood out from its competitors. Hunza would also appoint a retail consultant and has been in discussion with Britain-based DTZ. The latter would advise in the mall's layout, shopping trends, tenancy mix and brands. Seow was positive on the location of the shopping mall next to Gurney Plaza. “The malls will complement each other. As shoppers want convenience, they will welcome the malls being side by side,” he said, adding that the company would find tenants different from those already operating in Gurney Plaza. Seow said marketing activities to lease out the retail space would start early next year. Gurney Paragon is a mixed integrated development comprising a shopping mall, two blocks of high-end condominiums and a heritage building spread over 10.21 acres of freehold land. Located along Gurney Drive fronting the sea, the land was formerly occupied by Uplands International School. The company bought it in 2004 for RM97mil. 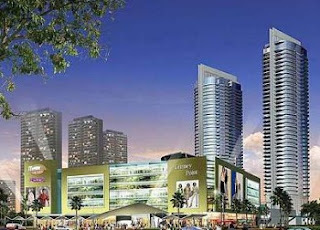 Gurney Paragon has a total gross development value of close to RM1bil.